After agreeing to temporarily end the partial government shutdown last Friday, the president and House Speaker Nancy Pelosi spoke by telephone on Monday to resolve issues regarding the State of the Union address. While the agreement to end the shutdown on Friday reopened government for three weeks, congressional negotiators are still working to see if there’s a deal to be made on border security, immigration and the wall. I predict a cornerstone of the president’s SOTU address will be extending an olive branch to the democrats by promoting a bipartisan infrastructure spending bill that both parties have already endorsed. And in true “art of the deal” fashion, this will be the first domino to fall in the line of many upcoming wins for Trump (and America). The only hurdle keeping the bill from being passed last year were the differences in how each party wanted the bill to be funded. 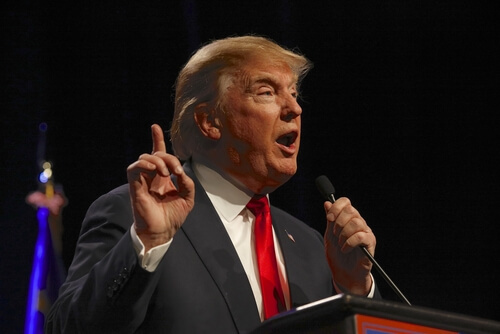 President Trump desired greater participation from the private, state and local government sectors, while the democrats wanted a massive federal spending bill. I believe a compromise will be made as the American people are growing weary of both parties being engaged in a public food fight, while America’s crumbling infrastructure falls further into decay. President Trump has made over 20 public appearances with Transportation Secretary Elaine Chao, promoting his version of a $1.5 trillion bill that will rebuild America’s ailing infrastructure. It’s a bill America urgently needs passed as the American Society of Civil Engineers recently gave America’s infrastructure a D+ rating in their annual report. America simply cannot compete in the 21stcentury global economy with crumbling infrastructure that in many cases is nearly a century old. 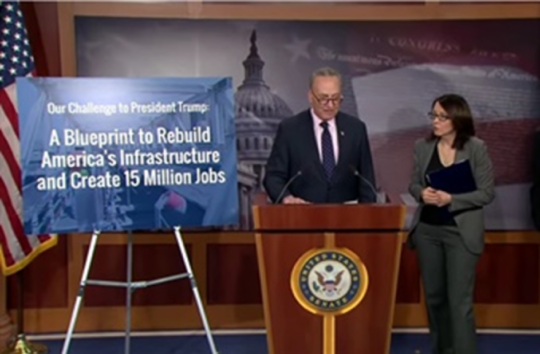 The democrats earlier last year supported an infrastructure bill citing not only the urgency of repairing America’s rapidly deteriorating infrastructure, but the ability to create over 15 million new American jobs. I believe a $1.5 trillion spending bill that creates 15 million new American jobs will become the catalyst that could send the DOW soaring to 30,000 — if not higher. Now that the market shook off its correction cobwebs, it’s back to building American infrastructure. And that fuel for the American economy will thrust the Dow to new all-time highs. And lead to a new renaissance for American income. It also offers the opportunity for the master of the “Art of the Deal” to negotiate his $5.7 billion border wall into the deal… as it will be less than a HALF of 1% of the infrastructure bill — a virtual rounding error. Starting Tuesday, Trump’s second term officially begins.